Athletics Ireland and the Irish Universities Athletics Association are looking to repeat a crowd funding campaign that was successful in February in order to secure live online coverage of the IUAA Track and Field Championships this weekend. 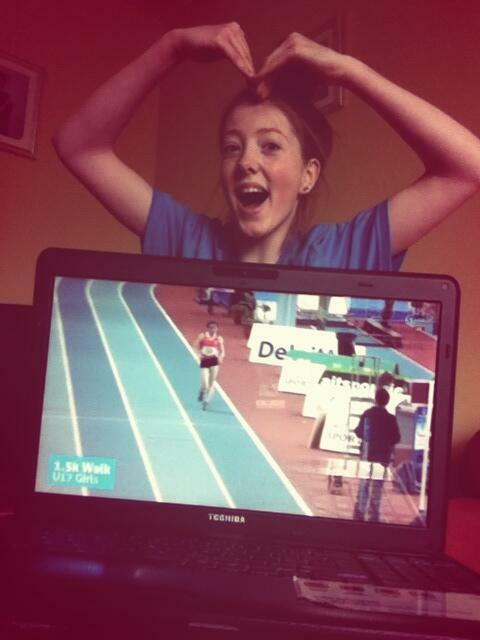 Six weeks ago the Irish athletics community secured funding for live streaming coverage of their indoor event at Athlone Institute of Technology. The IUAA were unable to attract a sponsor for the event but through nTrai, a crowd-funding website, they managed to gather over the €1,800 that was required in just two days. Read more about that campaign. Aer TV provided the streaming technology and the platform while Feidhlim Kelly and the team at Jump the Gun provided the commentary. The athletes promoted the fundraising campaign via social media and appealed to their community to donate by posting videos through their Facebook, Twitter, Google+ and other channels.